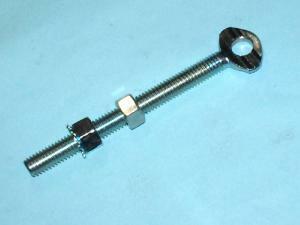 Thumb Screw, 3/8-16 x 4" long. Zinc plated and has a 3/8" hole drilled and comes with the keps & standard nut as shown. Honda GX100 QA2 Adapter 1/4-20, 1.25 inch thick plus a 1/8” lip.